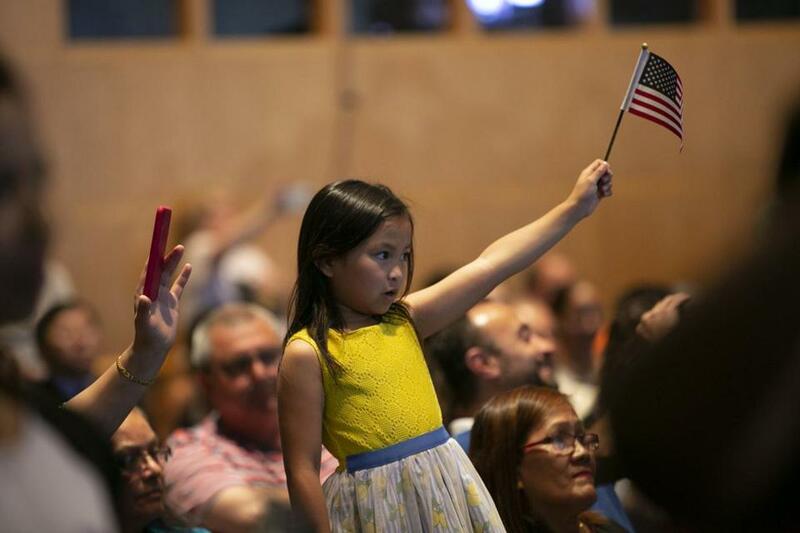 A young girl waves an American flag at the naturalization ceremony at the JFK Library and Museum on Wednesday. The following is an excerpt from remarks that Vartan Gregorian, president of Carnegie Corporation of New York, delivered Wednesday at a naturalization ceremony at the John F. Kennedy Library and Museum. President John F. Kennedy knew firsthand that America was and continues to be a nation of immigrants. He wrote a book on the subject, entitled “A Nation of Immigrants.” Later, as the president of the United States, he was a constant champion of immigrants and refugees, never forgetting that he, too, came from a family of immigrants. He laid the foundation for the Immigration Act of 1965, which placed the American Dream within reach of people from every nation on earth. Throughout our history, we have had great leaders, idealists, and patriots who rejected the idea of a constricted America, defined by bloodlines, religion, and race. The founders of our nation did not claim that they had created a “more perfect union,” but rather they had created a framework and foundation for a just society, setting guiding principles for future generations. That is not to say that the ideals our country set forth were always upheld. Throughout our history, men and women have fought bitterly, and occasionally violently, over the promise of America, its laws, and its institutions, and have sacrificed their lives to preserve this country. Like you, America did not and does not rest on its past laurels. It moves forward, knowing its imperfections and limitations, yet always working to overcome them. Equality, justice, the supremacy of law, a representative government predicated on true democracy, the respect for the intrinsic worth of the individual, and the acknowledgment of individual rights embedded in the Bill of Rights: these values must be taught, discussed, and remembered time and time again. We have to know our history and the evolution of our republic, our legal and economic systems as well as our cultural heritage. This year marks the 150th anniversary of the 14th Amendment, one of the most noteworthy additions to the Constitution, which bears a special significance for those gathered here today. It states that “All persons born or naturalized in the United States and subject to the jurisdiction thereof, are citizens of the United States.” It is thanks to that amendment that we are here today. Only one emotion seemed to ripple through the crowd — so much hope! The declaration that “all men are created equal” was a revolutionary idea in 1776, and it still is. 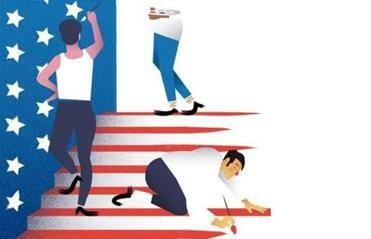 The emergence of the United States constituted a challenge to the world. Because ours was a new nation, founded on the highest ideals of the Enlightenment, believing in the potential of human beings to build a free society in which the rule of law prevails and no one is above the law. Kennedy understood that freedom is not simply a right; with it comes responsibility. Today we celebrate your citizenship, but we also ask you to accept the solemn obligations that citizenship brings. Today is a rite of passage. You will soon be a part of something bigger than yourself, the United States of America. That is what I felt when I was about to be sworn in as a citizen of the United States. Like you, I was full of joy, trepidation, and hope. So what can you, this country’s newest citizens, do for your adopted homeland? Challenge us and help us to do better. As citizens of this country we can — and we must — participate in the work of our democracy. Read, learn, listen to others, help your neighbors, speak out against injustice, and vote! Study our nation’s glorious past as well as its trials, tribulations, and tragedies. By doing so, you fulfill your rights and obligations as citizens.